Diets done the right way are easy! The typical American diet is defined by a huge intake of red meat, high-sugar desserts, high-fat foods and refined flour. 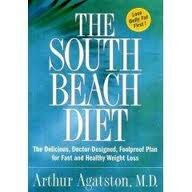 It also usually contains high-fat dairy products, artificially sweetened drinks and eggs. 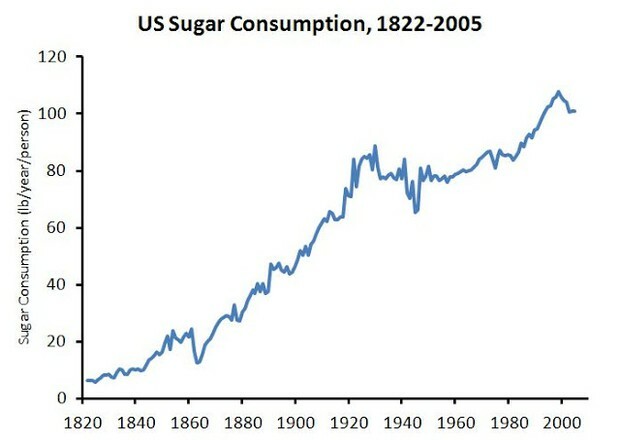 The USDA reported that the average American in 2003 consumed an average of 2,757 calories per day. According to the National Heart Blood and Lung Institute, a healthy-weight female should consume between 1,800 and 2,200 calories per day when being active. Active men should consume between 2,200 and 2,800 calories each day. Carbohydrates the average carbohydrate intake for all ages from 1999 to 2000 was 51.9 percent of calories. Men consumed an average 50.9 percent of daily calories from carbs. 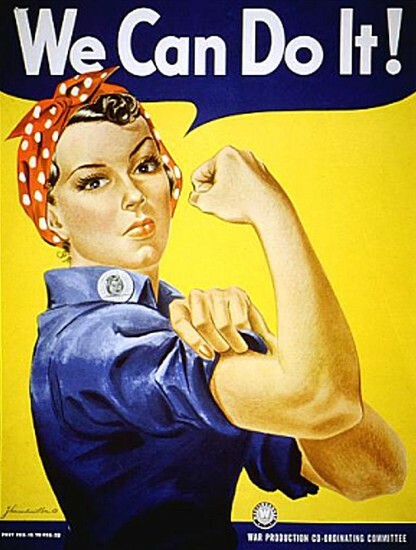 Women consumed an average 52.8 percent of daily calories from carbohydrates. Protein The average American has a net protein intake of 101.9 grams to males and 70.1 grams to females a day---more than double the recommended daily allowance as suggest by national dietary guidelines. Fats About 30 percent of the typical American diet consists of fat, translating to about 800 and 540 calories for men and women, respectively. Sodium People consistently consume about 3,700 milligrams of sodium a day, the data showed. Current sodium guidelines advise up to 2,300 milligrams (about one teaspoon) a day for adults, and 1,500 milligrams for those who have or are at risk for high blood pressure. Rather than eating a greasy pepperoni pizza, have a summer vegetable flatbread drizzled with olive oil and topped with reduced-fat Parmesan and veggies. It’s just as filling but not as heavy. Pass up the corn puffs and milk for a fiber-filled bowl of peaches and cream oatmeal. The skim milk and whole grains are much healthier than the fatty sugars found in many cereals. Instead of slushies or snow cones loaded with sugar, go with a smoothie or popsicle made with real fruit or 100% fruit juice. They are naturally sweet and refreshing without the artificial flavoring. An alternative to eating super salty hot sandwiches like Hot Pockets, create your own homemade pita pocket with fresh mushrooms and spinach. 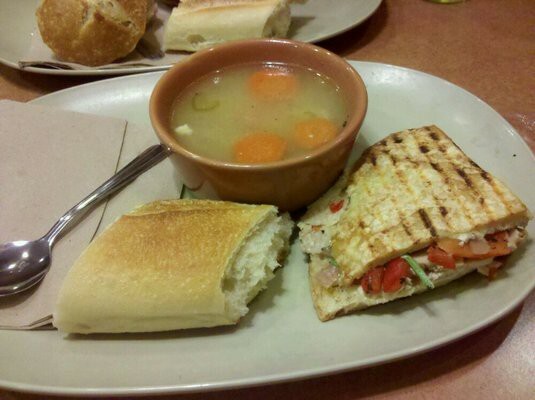 Panera Instead of getting Baked Potato Soup in a bread bowl, order some Chicken Noodle Soup with half of a Smokehouse Turkey Panini. The bread bowl is all carbs so the energy will be burned off fast and the creamy soup is filled with unhealthy fats. Olive Garden Skip the Five Cheese Ziti al Forno and go with a Cheese Ravioli with Marinara Sauce. The ziti sauce is similar to marinara sauce but it also contains heavy cheeses with lots of fat. The ricotta cheese found in the ravioli is much lighter and the marinara sauce is full of antioxidants. 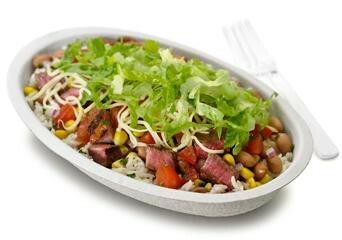 Chipotle Pass up the Grilled Steak Burrito and eat a Grilled Steak Burrito BOWL with black beans, salsa, guacamole, cheese, and rice. The tortilla has lots of calories and not very many nutrients. Also, go with a dollop of guacamole that’s full of omega-3s instead of the blob of sour cream. Applebee’s Rather than ordering the Cowboy Burger, which is topped with BBQ sauce, bacon, cheese, and onion strings, with a side of fries, enjoy a Regular Cheeseburger with a side Caesar Salad. 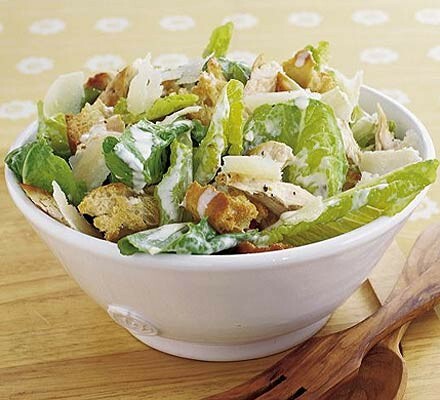 Keep the toppings simple and have a side salad so you don’t add even more grease to your meal with the fries. Although Panera puts on a healthy facade, beware! You still have to be very careful when eating here. Watch out for Chipotle's tortillas! They have 290 calories each. Swap fries for a salad! Fad diets have the dieter live on a low carb, low calorie or low fat diet. Most advertisements say you’ll look “hot” and keep it off but could you survive on a diet like this for the rest of your life? These kinds of diets help you lose weight fast but in reality, it is just water weight. Diets like these can make a person feel weak, tired, and take all the energy out of them causing them to be lazy or sluggish. In order to lose weight and keep it off, you should eat fewer calories and make sure that the calories you do eat are healthy foods and then burn them off by exercising regularly. A true transformation of your body only truly comes from changing your lifestyle! 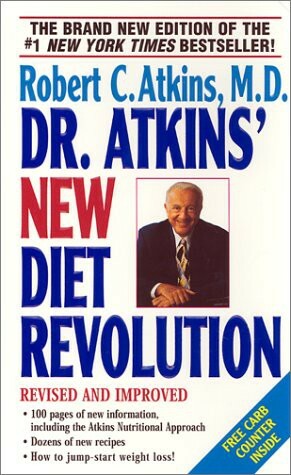 Like Atkins, but less bans unhealthy fats.